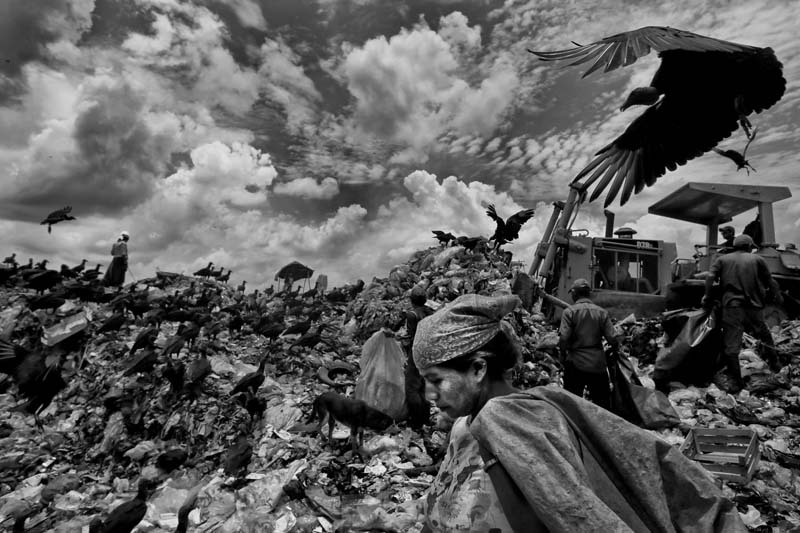 The garbage dump outside of Tapachula, Mexico is picked over for recyclables by Guatemalan immigrants. Many entered Mexico en route to the US but were scared off by the treacherous journey through Mexico's cartel and drug war country. They work for $2 per day.